1) Family Ties - This show is practically all I have been watching on Netflix this month; I'll expand more on it in a later post. 2) Urban Decay's Naked Palette - I got this palette for Christmas; with twelve shadows, mostly of varying shades of brown in both matte and shiny, you can put together so many different looks. I can do a very low key shadow if I'm wearing a brighter lip color, or focus more on the darker shades if the opposite is true. 3) Clover Organic Farms unsalted butter - I can add butter to this list, can't I? I love this butter because it is entirely full of flavor (butter flavor), and in addition to the Organic label, it also has one for the American Humane Association. 5) My Food Writing class - Sometimes I just love the special topics English classes; they often end up being my favorites. In this one, we've already read a couple of wonderful books: Barbara Kingsolver's Animal, Vegetable, Miracle and Best Food Writing 2010, edited by Holly Hughes. There are more, but those are the two I would most recommend so far. 6) The Farmers' Market on campus - I add this one because I am recently returned from said event, where I picked up a loaf of sliced bread from a local company, a little produce, and some Challah bread made by an organization on campus that donates the proceeds to a couple of charities. Might I also add that it's rather delicious bread and won't last long before I eat it all. 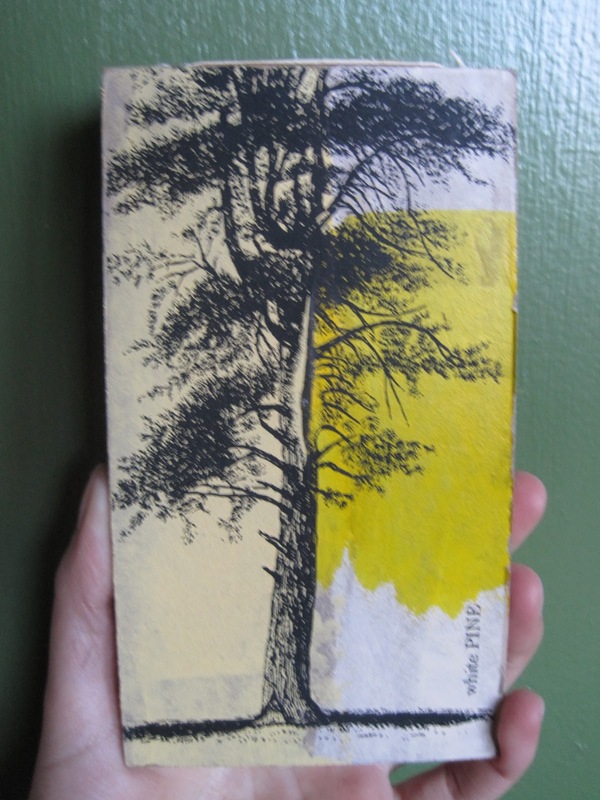 7) My tree notebook from Anthropologie - Naturally, I adore this store for its eclecticism and its blending of old and new and refusal to follow trends quite to the dot. 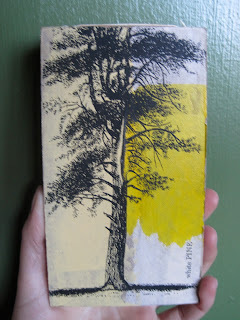 Given that I also have something of a thing for trees, this notebook was an amazing find. 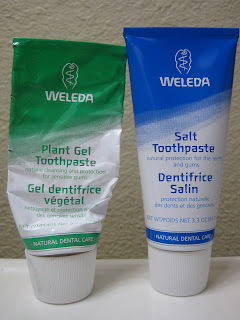 8) Weleda toothpaste - I don't use "regular" toothpastes. I'm odd that way, such that I read labels in, yes, shampoo, soap, and toothpaste in addition to food. (It's been long enough since I used "regular" toothpaste that it creeps me out on the odd occasions that I do, like at the orthodontist--it's just so different.) 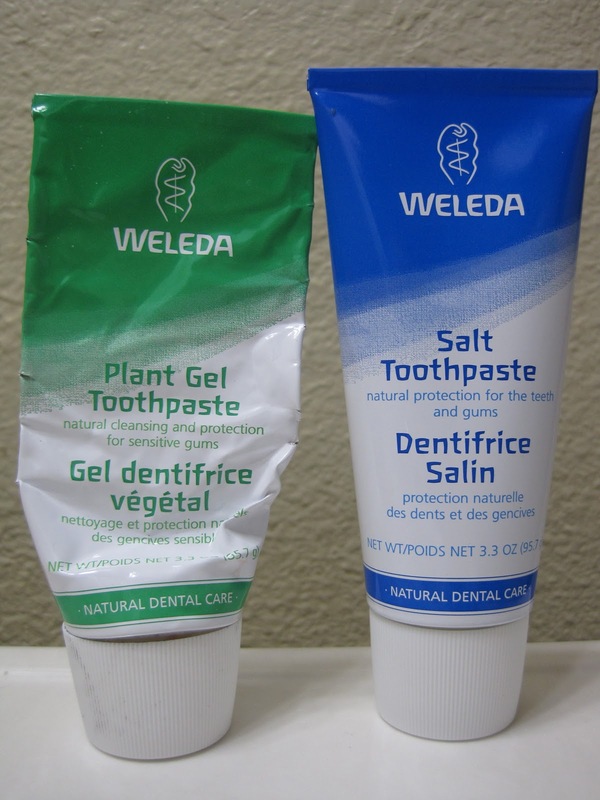 I've been using Weleda's Plant Gel toothpaste for a while and liked it well enough, but thought to try the Salt variety this time. It really is like rubbing salt in your mouth: it's quite strong. But it's sort of intriguing at the same time. 10) The Hillywood Show - Yeah, I'm sure that's surprising. But their Breaking Dawn Parody is due out any day now. They said it would be out in February, and I'm pretty sure they're hoping to have it out in the very beginning of the month. Yesterday, they released a couple of behind the scenes pictures, which you can view here. Breaking Dawn Parody by The Hillywood Show is coming up fast. The first official still, which you can view on their website, was released late Friday night. Without the parody logo in the top left corner, a glance at this picture looks like a still from the movie itself. The Hillywood Show never disappoints with accuracy. This still makes me wonder what angle the parody will take. There is probably a good amount more "sitting around" in this movie than the previous three--how does that lend to the music video style the Twilight parodies thus far have had? Will there still be a focus mostly on Bella's perspective (as perhaps the still would suggest), or will it also be on other characters? The countdown to February continues. Beauty and the Beast is one of the Disney films to which I have always had a connection. It and I are the same age, and it was one of the few movies my family owned when I was young (my parents were more likely to buy us books than movies, for which I'm grateful--I think this also made us better appreciate the movies we did own). While Snow White has black hair, Cinderella has blonde, and Ariel has red, Belle has brown hair like mine. She also reads; books I have always (I think) valued, and they were a particularly important part of my life from fifth grade on. Then at probably about the time of middle school, I could also relate to Belle's wishes for something more. The movie was originally supposed to come out in 3D a year or two ago, wasn't it? But that's okay, I waited and was positively exultant at entering my usual theatre yesterday to watch this movie both classic and personal. Fare thee well, school books and writing assignments: you can wait a couple of hours for my attention. What's wonderful about seeing a familiar movie in a new format is that it makes you aware of new things. I noticed many paintings in the background of the castle that I had never seen before; I smiled at each new discovery. Watching this movie in 3D also allowed me to better appreciate the artistry of it. I do love traditional animation. The castle and the opening sequence benefited in particular from the added dimension. Beauty and the Beast is lovely, visually, in a way that reminds me of the gorgeous Sleeping Beauty. Perhaps Sleeping Beauty will be next to return to the big screen? From the start, I subconsciously tried to cultivate low expectations for this movie so that I wouldn't be disappointed by it and so that I would be able to enjoy anything good in it. Not being in a hurry to see it, I let it fade out of theatres until I had to wait for it to be available on Netflix last month. It turns out that I approached the movie in the right way. The thing is, I really liked the first movie. I like aspects inside the second and third ones, but I'm not the biggest fan of them overall. And as the fourth movie is rather bare, there was less for me to latch onto in it. The biggest critique I feel I can give is that the script was weak. I appreciate that they didn't try to elevate the plot into something "more epic" like they did with the third one, but a little more development would have been nice. Barbossa was always a wonderful character, fully fleshed out from his very first line. Davy Jones took a little longer to develop out, but he was alright. Cutler Beckett I somehow find very entertaining. But Blackbeard? He had no defining characteristics, besides regular pirate ones. He looks fine, with his Blackbeard's smoking beard and all, but he has no memorable personality. And what of the people from Spain? They had a couple of scenes that were presented as crucial, but with no development--it was like they were just thrown in. Angelica was kind of interesting; it isn't easy to set up a match for Jack Sparrow. But I still feel like I'm missing something from her. She isn't a pirate, right? (since Jack was the only pirate she could impersonate, as she said). 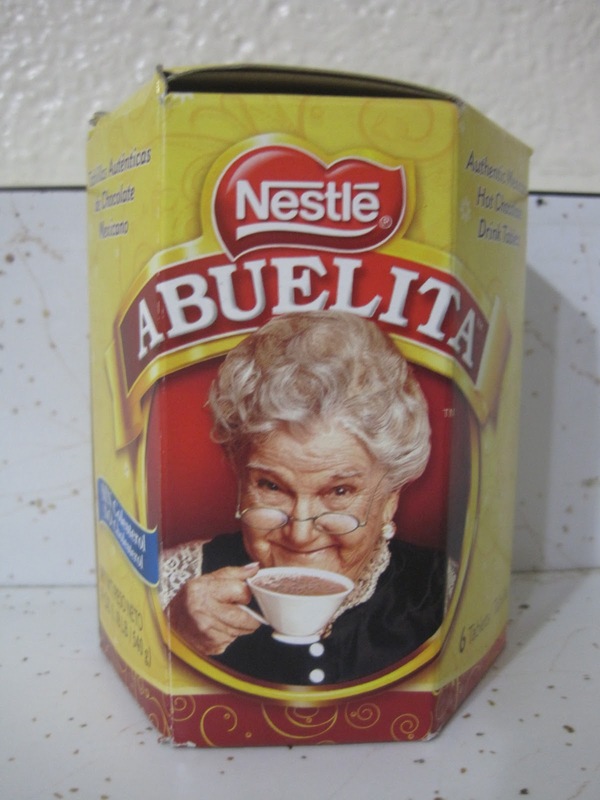 What has she been up to since Jack helped her off the path to becoming a nun? She still wears a cross around her neck and is concerned about her father's soul, but she also acts quite piratey. So who is she, really? Obviously, with the removal of Will Turner (and Elizabeth, too, I guess), Jack still needed a straight character to balance him out. Enter the missionary. His plot line with Syrena I also found lacking; I liked it, more or less, but it just felt like it was floating in the middle of the movie. The way that their story ended seems to imply that there is more to tell, given that this fourth installment does become a new trilogy as hoped. There certainly could be more to learn about them, but I doubt they would be the first focus of new movies, either. Now on to the supernatural elements. I loved how the first movie was a combination of so many things: a period movie, a drama, an action/adventure movie, a fantasy. Fantasy should come accompanied by that certain sense of its fantasy; the first movie did this, but did this one? Not much, I thought. I came more with Jack's words to Angelica of, don't worry, I've seen plenty of the supernatural to believe that there's more. What I feel like is that this movie became just an action/adventure/comedy instead of that wonderful amalgam the first movie was. It entertained me for a couple of hours, but will I become exorbitantly excited if they announce two more movies? Not really.